Need a change of scenery from your usual workspace or coffee shop? Stop by Nebula for the day on Free First Friday! 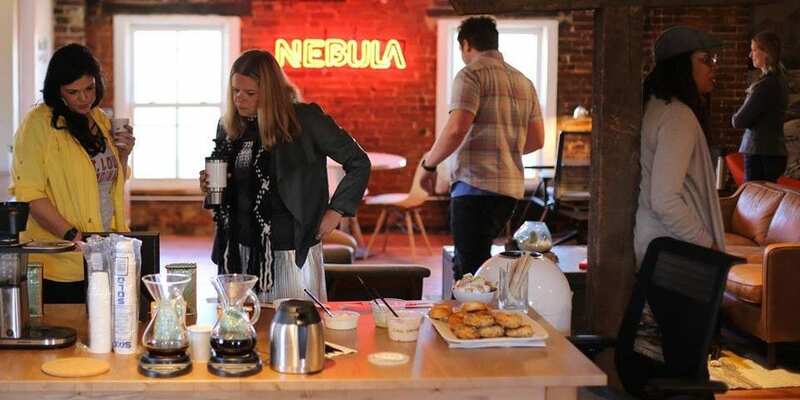 Bring your laptop and enjoy Nebula’s shared workspaces and free wifi. Get free Gooseberries bagels and coffee from Kaldi’s Coffee Roasting Co. to sustain your productivity. Open to the public, bring your friends! More details on the Facebook event page. See more Cherokee Street and Gravois Park events.